The Cambro CD400110 Camdolly® food pan carrier dolly is compatible with the UPCS400 and UPC400 food pan carriers, making it easy to store and transport loads as much as 300 pounds. It comes in black, which blends into different settings. Since it is made of heavy-duty plastic, this Cambro CD400110 Camdolly food pan carrier dolly is resistant to corrosion, cracks, dents, and other minor damage. 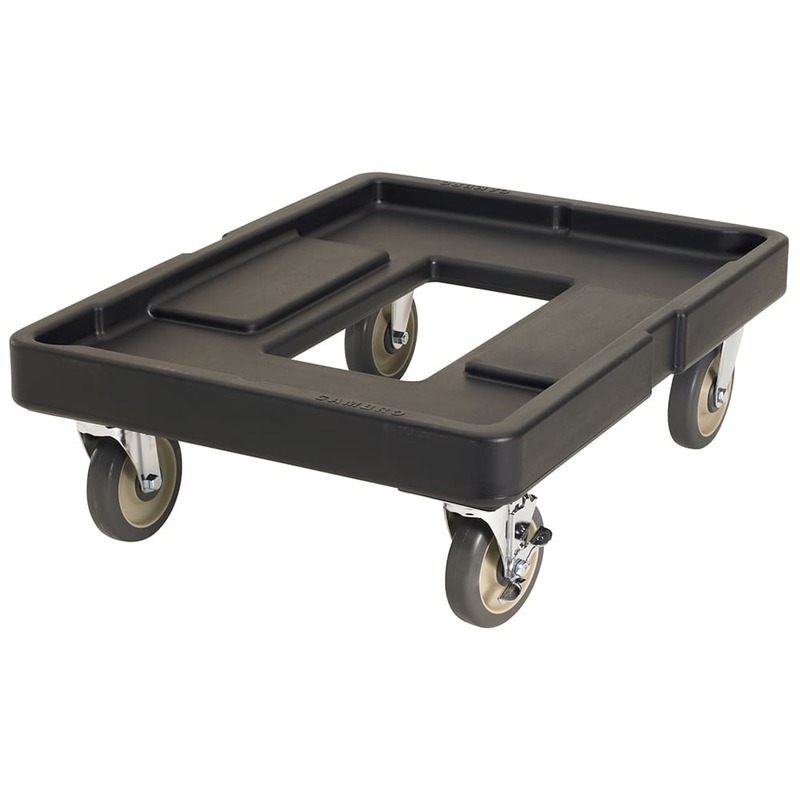 There are two 5-inch fixed casters and two 5-inch swivel casters for maneuvering over a variety of surfaces.